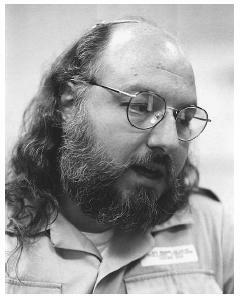 Jonathan Jay Pollard, a veteran of U.S. Navy intelligence forces, sold secrets to the Israeli government during the 1980s. Pollard fed Israel intelligence information regarding Israeli rivals in the Middle East and beyond. Pollard claimed that although he did spy for Israel, he did not conduct espionage against the United States, as the two nations are allies. Following his arrest, Pollard's case drew international attention. Born in 1954, Pollard was instilled with a devotion to Israel at an early age. He majored in political science at Stanford University. Pollard's questionable activities began there, when he falsely told classmates he had dual citizenship in the United States and Israel, and that he was a member of the Mossad, an Israeli secret agency. He longed to emigrate to Israel, imagining himself as a fantastic character of espionage, fighting on Israel's behalf. Instead of moving to Israel, however, he went to Boston and enrolled in a graduate program at Fletcher School of Law and Diplomacy at Tufts University. At Tufts, he provided information on foreign students to the CIA. Although he already had his foot in the door with the CIA, the agency turned him down when he applied for a job. In 1979, he gained employment with U.S. Naval Intelligence as a civilian intelligence analyst. Working in Washington, Pollard quickly became disillusioned with what he viewed as an anti-Semitic attitude among his co-workers. After attending a 1982 meeting between U.S. Navy and Israeli intelligence officers, Pollard was convinced that Israeli security was threatened because the U.S. was withholding crucial secrets from its ally. When a friend called to tell Pollard he had met Colonel Aviem Sella, a noted Israeli war hero, Pollard insisted the friend set up a meeting between himself and Sella. Pollard was initially screened by Israeli intelligence, and Sella was cleared by his superiors to meet confidentially with Pollard at the coffee shop of the Washington Hilton Hotel on May 29, 1984. Pollard told Sella his goal was to supply Israel with U.S. secrets to help the country "strengthen its defense capability." The next time the two met, Pollard handed over 48 documents, and the relationship was secured. Jonathan Pollard, a former U.S. Naval Intelligence clerk, grants an interview at the Federal Correction Institution in Butner, NC, where he is serving a life sentence for passing military secrets to Israel. Because of his high-level security clearance, Pollard had the authority to check out classified documents and take them home. Israel became hungry for the information, and Pollard was soon smuggling out suitcases full of classified material. The U.S. government claimed Pollard leaked classified information on the Pakistani nuclear-bomb program, Iraqi and Syrian chemical weapons, Libyan air defenses, and the layout of the Palestine Liberation Organization's headquarters in Tunisia, which Israel then bombed. All told, he photocopied and turned over more than 1,000 classified messages and 800 documents to Israel. In exchange for the information, the Israeli government paid Pollard $2,500 per month, in addition to trips to Europe and a $7,000 ring for his wife, who reportedly knew of his espionage activities. The Federal Bureau of Investigation (FBI) was finally alerted to the quantities of files that Pollard was signing out, but Pollard portrayed himself as a dedicated researcher, working even at home. The FBI did not act immediately, but shadowed Pollard around the clock, suspecting that he might meet with a foreign representative, and give the FBI insight into what he was doing with the material. In 1985, fearing the increased suspicion of FBI investigators, Pollard and his wife decided to seek asylum and flee to Israel. The two drove to the Israeli Embassy in Washington, D.C., tailgating a diplomatic limousine through the embassy's front gates. Pollard requested political asylum using his own name, and Danny Cohen, the pseudonym he had been given by the Israeli government, but to no avail. Once turned out by embassy guards, the two were picked up by the FBI. Pollard was charged with espionage and sentenced to life in prison. According to his supporters, Pollard was the only person in history to spy for an ally and receive a sentence longer than ten years. His wife was charged with collusion and was sentenced to five years in prison. Although the Israeli government initially denied any involvement with Pollard, they later granted him citizenship. His potential release to return to Israel became a hot-button item. Israel threatened to cease peace talks with the U.S. until the issue was resolved, but failed to gain Pollard's release from prison. Pollard's case was considered by Presidents Reagan, Bush, and Clinton, all of whom denied him clemency. Nash, Jay Robert. Spies: A Narrative Encyclopedia of Dirty Deeds and Double Dealing from Biblical Times to Today. N.p., M. Evans, 1997.